The Michigan City Police Department has just completed their participation in the OPO Blitz 93 covering St Patrick’s Day for Dangerous Driving. During OPO Blitz 93 St Patrick’s Day for Dangerous Driving the Michigan City Police Department had 18 extra patrols working 59hrs in overtime. Officers stopped 99 vehicles. One warrant arrest was made for False Identity Statement, one Runaway arrests, one arrest for false Identity. Non-custodial arrests; 2 Never Receiving a License, 2 Driving While Suspended Prior. Officers wrote 71 Citations; 48 Seat Belt violations, 2 Suspended Prior and 1 Suspended infraction, 1 No Valid License, 1 Expired License Plates, 1 false registration plate, 1 equipment violation, 2 left of center, 1 improper turn and 6 speeding violations. Officers also wrote 69 Warning Citations; 3 No License in possession, 2 Failure to dim bright lights, 1 Improper display of a License plate, 4 No Registration in possession, 1 Expired registration plate, 10 Failure to stop for Automatic signal/stop sign, 2 Improper Turning violations, 7 Equipment violations, 3 other violations for registration violations and 36 warnings for speeding. The OPO Grant has allowed the Michigan City Police Department to add extra patrol Officers on the street, Officers working the grant can also assist with several calls for service. Officers of the Michigan City Police Department will continue working this traffic safety grants, including the countywide DUI Task Force to improve the Quality of Life to the citizens of Michigan City. 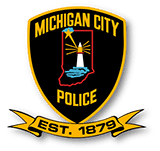 In April officers of the Michigan City Police Department will be adding extra patrols to enforce Speed violation along US 20 in Michigan City. Officers will also be enforcing other aggressive traffic violations throughout the City, to include Seat Belt, Texting, Speeding, Following Too Closely, Automatic Signal and Stop Sign violations.